Like its two-shelved sister product, the economy bench is an excellent purchase for those environments requiring a reliable workspace. Designed to withstand all forms of wear and tear, this product is also excellent for temporary storage indoors or outdoors. Its boltless assembly makes for easy construction and disassembly. 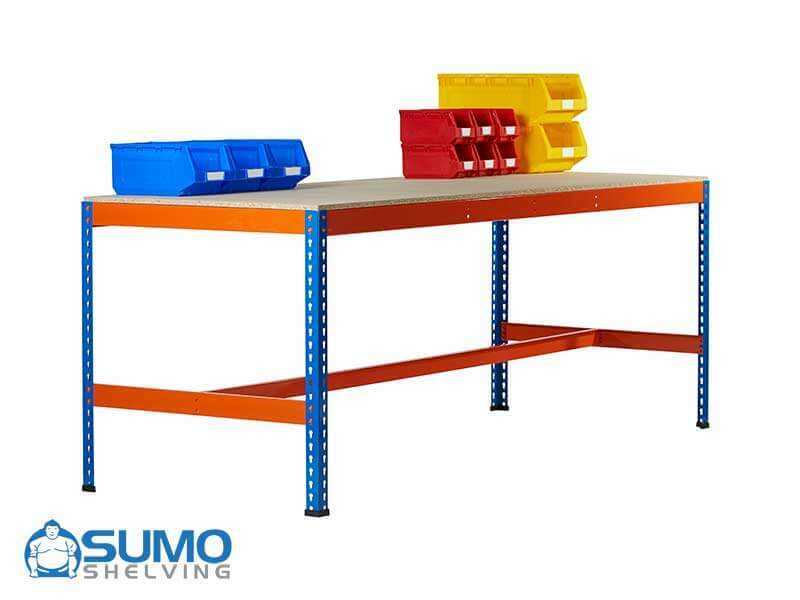 The key difference between this product and our larger two-shelf workbench is that this bench provides only one shelf, leaving space for your legs or additional storage. This product is the perfect solution for assembly and packing in all garages and many other places. From your home to any factory, this selection is highly suitable. Capitalize on the workspace in your basement or home office, or consider its use in more professional settings. 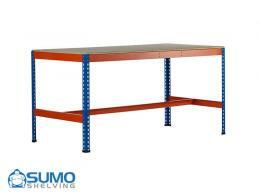 With the open space below the top platform, this economy bench is ideal for crowded factories and warehouses. Extremely durable and versatile, this product will easily suit the needs of individuals. Home mechanics and craftsmen will adore the organizational space and comfort provided by this purchase. For factory workers and owners, this industrial product will both suit the demands of the environment while simultaneously providing functionality. Throw away those old wooden and plastic benches. The Economy Bench has got you covered. 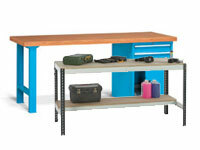 The DIY Workbench stands 915mm and offers two shelves constructed of 2mm thick steel. 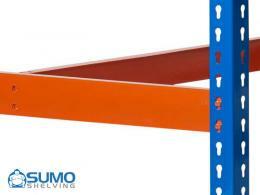 We provide two depth options for this product: 610mm and 915mm. All the shelving merchandise available at The Workplace Depot is finished in epoxy powder-coated paint for extreme resistance to corrosion. For quick and easy assembly, the boltless design will only require you to have a mallet on hand. Bright blue 16mm chipboard provides for easy construction. Manufactured in Europe and tested for stability and strength according to the FEM recommendation 10.2.06, we also provide assembly instructions on our website for your convenience. The Workplace Depot offers an easy return policy in our endeavor to provide excellent customer service. The 1 year parts and labor warranty adds extra value to your purchase. As an added bonus, we will match the lower pricing of any company providing the same products. With our competitive prices, we’re here to help you optimize your storage space.